As always, the Medieval Academy of America will have a strong presence at the International Congress on Medieval Studies in Kalamazoo (May 9-12). 1) The Friday morning plenary, sponsored by the Medieval Academy, will be delivered by Bissera V. Pentcheva (Stanford University), “Icons of Sound and the Exultet Liturgy of Southern Italy” (Session 151, Friday, 8:30 AM, Bernhard, East Ballroom). Two related sessions organized by Prof. Pentcheva will take place on Friday at 1:30 PM (Session 236) and 3:30 PM (Session 294). Both sessions will take place in Sangren 1750. 2) On Friday at 3:30 PM, the Graduate Student Committee is sponsoring a roundtable titled “Stepping into the Professions: Tips on Navigating a Variety of Career Paths for Medievalist Graduate Students and Early Career Scholars” (Session 285, Fetzer 2016). The GSC reception will take place immediately afterwards in the same room. 3) On Thursday at 1:30 PM, the Committee for Centers and Regional Associations (CARA) is sponsoring a roundtable on “Teaching a Diverse and Inclusive Middle Ages” (Session 58, Fetzer 1005). 4) The annual CARA Luncheon will take place on Friday at noon (Bernhard, President’s Dining Room). We hope you will attend as a representative of your institution, center, program, or institution. There is no fee to attend, but pre-registration is required. All are welcome! Click here to register. 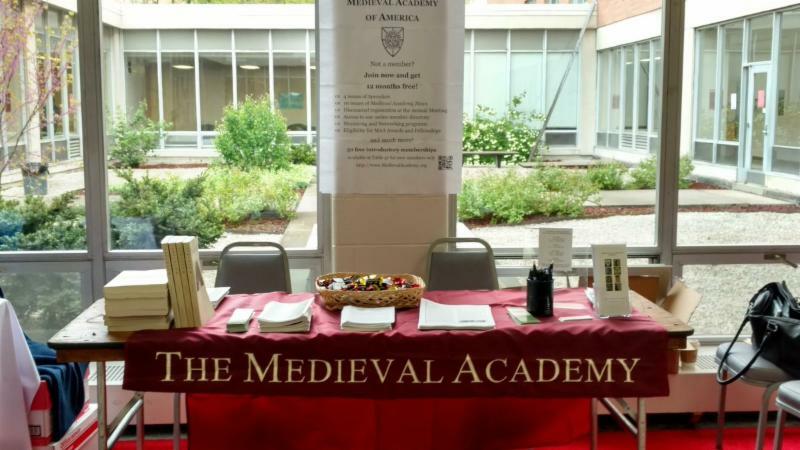 5) Finally, we invite you to stop by our staffed table in the exhibit hall to introduce yourself, transact any Medieval Academy business you may have, or pick up some chocolate to keep you going during those long afternoon sessions. See you at the ‘Zoo!